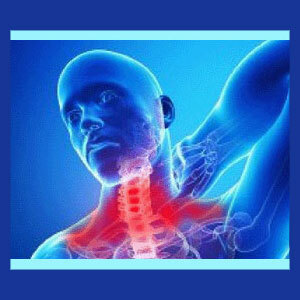 Car accident neck pain is one of the more frequent causations of acute symptoms in the cervical spinal region. In many instances, automobile crashes are also cited as the source process for chronic neck pain concerns. Motor vehicle collisions involve tremendous forces that can be applied against the structures of the neck. Injury might occur to the muscular or spinal tissues. Since auto accidents are highly traumatic mentally and physically, pain can result from purely anatomical factors, purely psychoemotional factors or a combination of both mind and body contributors, making positive diagnosis and successful treatment difficult propositions. This treatise examines neck pain that results after a car accident. We will detail the types of injuries that are usually responsible for causing neck symptoms, as well as explain many lesser known facts about chronic pain that is linked to motor vehicle collisions. The terrible fury of a serious car crash can throw the body around in horrifying ways. The neck often takes the brunt of the punishment, due to the anatomical design of the hefty head acting as a force multiplier. If the victim is fortunate, they will be restrained by a seat belt and held firmly inside the vehicle, closely against the car seat. However, even in these ideal circumstances, the head is not restrained and can snap forward, backwards or sideways upon impact. The head is a weighty burden for the neck and when force is applied to the head, in the form of abrupt deceleration, the mass of the head will act as an accelerant on the movement of the neck, snapping it forward, backwards or both. Since the normal range of motion in the cervical spine is controlled by muscles, ligaments and vertebral joints, this force can injure any or all of these tissues due to the hyperflexion and/or hyperextension of the neck. Even minor fender-benders can cause whiplash to occur, especially when a vehicle is struck unexpectedly in the rear. More serious crashes will compound potential injury to virtually all parts of the anatomy. In less ideal circumstances, the victim might not be restrained by a safety belt and might be thrown about inside the vehicle or may be ejected out of the vehicle. These scenarios increase the risk of dire injury exponentially. Head and neck traumas are almost guaranteed in cases of vehicular ejection, often entailing massive lacerations, broken bones, neurological damage and concussions. Since the body does not easily move within a tight space, such as inside the interior of a car, or through a vehicle window, it is common for the neck to bend violently when the person is tossed around or ejected. The usual results are multiple fractured vertebrae and the very real possibility of a significant cervical spinal cord injury. It is no surprise that car crashes are cited as being the causative reason for countless cases of paraplegia and tetraplegia conditions every year. It is easy to understand that car accidents can cause massive trauma to the body. However, they can enact equally horrific injury to the psychoemotional self, as well. People who have been in car wrecks are usually secured to spine boards to prevent additional injury during transport to a medical facility. They are usually subjected to various tests to check for injury, fracture and internal bleeding. The entire process is incredibly frightening and traumatic. Even if no significant injuries are found, doctors will often warn patients that damage might have occurred and that time-delay pain is commonplace. This nocebo effect can set the right tone for actual anatomically-motivated or psychogenic pain to begin. People who actually caused the crash have been known to suffer terrible emotional breakdowns, resulting from of guilt and shame. These events are often instantly suppressed, since the emotions are overwhelming and might implicate a person in a criminal or civil action. Since suppression is a main causation of psychological symptoms, it is commonplace that these patients suffer a mindbody-enacted escalation of pain, often despite no logical anatomical reason. However, the most common reason for psychological symptoms to begin is certainly due to the litigation process that often follows significant vehicular accidents. We have fully detailed this fascinating and common scenario on our neck injury attorney page. Getting into a car crash is a major negative life event. Most collisions are minor set backs, but some accidents are truly life-altering. Surviving a serious vehicular incident takes a strong body and a resilient mind. If either falters, the groundwork is already laid for chronic pain to develop. Therefore, it is vital for patients to understand that symptoms can result from physical, psychological and combination factors. 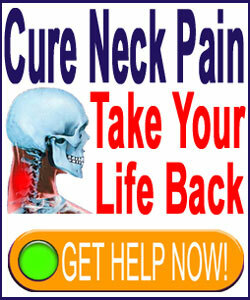 Most car accident victims who complain of neck pain will be lucky. They will statistically suffer some minor whiplash, leading to neck strain, without any spinal tissues being affected. They are likely to be sore for a few days, to a few weeks, but will most often recover without lasting impairment of mind or body. Less fortunate victims might endure one or more herniated cervical discs or a fractured vertebra in the neck. These scenarios are more serious, but can still resolve with or without drastic treatment. In worse cases, spinal nerve or spinal cord trauma will take place, potentially causing permanent disability, paralysis or even death in the worst circumstances. However, the least auspicious scenario describes patients who have no serious physical injuries, yet end up with intractable chronic pain due to mindbody factors. These are the patients who will statistically endure unsuccessful surgeries to correct non-causative and coincidental structural irregularities that may or may not have been present before the accident even occurred. These are also the people who seldom recognize the true psychogenic nature of their pain and are therefore likely to be victimized by it for life. These patients are wise to explore the innovative alternative medical treatment known as knowledge therapy, based on its efficacy in resolving a variety of mindbody health issues.